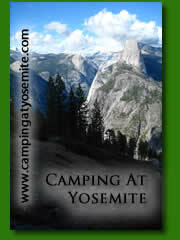 Gabaldon Horse Campground is an outstanding horse camp. Trail #95 surrounds the campground which is a the base of Mt. Baldy. 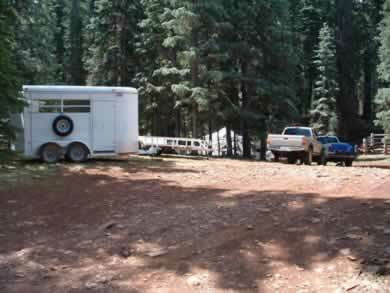 All 5 campsites have horse corrals and there is ample room to bring your own as well. Please keep into account some rules that the U.S. Forest Service has in place. This campground is limited to campers with horses or stock animals. Provide feed for your animals (weed free is preferred). No water for horses at the site. Campers can haul water from the Big Lake area. Remove and scatter horse waste. Do not tie stock to trees. Use corrals or picket lines. Keep stock away from streams unless drinking. Please do not drain wastewater onto ground. Reservations are NOT available; first come first served. Fishing is available in nearby Lee Valley Reservior which is stocked each spring aggressively with native Apache trout. Lee Valley is one of the only places you can guarantee yourself a good shot at catching Arizona's only native trout noted by its green tint. The Little Colorado River's headwaters start on Mt. Baldy and flow all the way to the Grand Canyon passing nearby at Sheeps Crossing along the way, which seems to always draw a fishing crowd. From Big Lake take FR 113 north (Back towards Sunrise Lake) approx 7 miles to the Gabaldon Horse Campground entrance.